RCB has purse of 18.5 cr which they will spend to buy 5-6 players only eventhough they have 10 spots to fill. Manan Vohra, Q.De kock, Brendon MCcullum, Mandeep Singh, Corey Anderson, Chris Woakes. Looking at their released players, they released 5 opening batsmen and a lower order batsman. This is because they don’t want to suffer from a top heavy problem as of previous season. For no. 3 position, they must look for Joe Root. Many say that he is a test player and he has been out from T20s from quite a while. But let me remind you the recent 100 he scored against India in ODI series. The main reason for his inclusion in the RCB squad is he can be a man that can handle the situation after dismissal of Virat Kohli and Ab De Villiers. We have seen how RCB’s batting is a total crap if AB and Virat are out in a same over. So, To prevent the collapse and continue the run flow in the scoreboard, Joe Root is the man to look out for. The only reason RCB might not bid on Root is because he will leave IPL after May 01 due to which they will again lack a middle order batsman. But I hope they will bid on him and keep him a main target in the auction. Root might not go higher than 3-4 cr and at that price, it is a steal for RCB. If only RCB opt. not to buy Joe Root then they must buy Shai Hope Je is a player of great caliber and he can handle the pressure situation as shown against India in ODI series. He remained in the crease until last ball and made the loosing match, a draw. This type of player is what RCB needs desperately. Also, I don’t think RCB should go for the most spoken name, Shimron Hetmyer. It is because he wasn’t that good in T20s and also he isn’t experienced. He is a player like that as Evin Lewis and we know how bad Lewis performed in last IPL as per expectations. Hetmyer is someone who begin to strike with the very first ball and that’s not the player RCB should acquire. We know Rayudu, who from CSK last season, performed brilliantly while maintaining a very good strike rate and not making rash mistakes in batting. And hetmyer is the one that does rash batting and loses his wicket very easily. Whereas, Shai Hope is someone who takes little time to settle and after that, he starts a unstoppable fire. Another advantage of Shai Hope is that he will be playing entire IPL season. RCB need to go for 5-6 cr for acquiring Hope. RCB need to bag either Joe Root or Shai Hope for no.3 position. He is fabulous player to have in middle order. He can play swiftly and fill the loop hole in RCB middle order. He didn’t get enough chances in Pumjab last season. And his release in this season is a boon for RCB. So they must buy him at any cost. He is also a great allrounder. So he not only bat well but also add value to RCB’s bowling. He has been doing well currently and RCB might buy him looking at his recent form. Another player might be a local player from Karnataka as the chairman of RCB, Sanjeeb Churiwala has said so. He might be an allrounder and he is being scouted by RCB team management. Let’s hope they will find an amazing player who can be a core of RCB team. He will be main target of RCB to replace Parthiv Patel as a wicket keeper batsman in the Playing XI. He is a better glovesman than Parthiv patel and he is a better batsmen when open the innings as we saw doing it in Punjab in 2015 and 2016. He is a good allrounder and can bat well as compared to Sundar in lower order. He will be a great asset for RCB team. They should bid upto 3-4 cr for him. 1) They have Marcus Stoinis, Moeen Ali and Colin de grandhomme who will play at no.6 position. So they might not look for a batsman of same position and rest at the bench for entire season. 2) In bowler, Nathan coulter nile and Tim Southee are best in business. So they might not consider buying another overseas pacer. 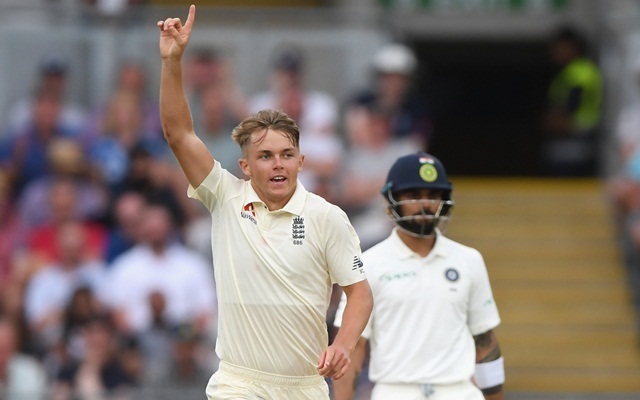 Sam curran. He is very good at handling pressure situation. He is left armer which can bring X-Factor in the team. So they might go for him. Varun Chakravarthy who is a new mystery spinner discovered in TNPL. He might be a trump card for RCB like Rashid khan for SRH. This will be a solid team capable of winning IPL 2019 trophy for the first time.